After a long week at my new job, I decided to treat myself with a new start! 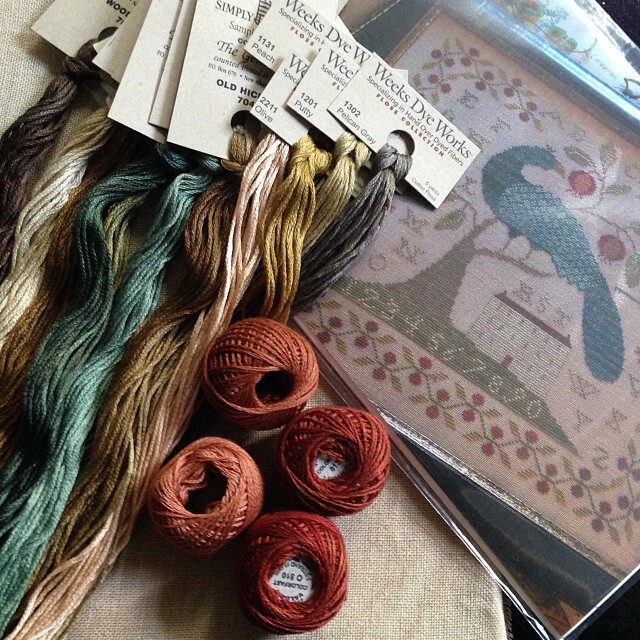 I got With Thy Needle & Threads's Manor at Peacock Hill in the mail last week and decided to start on Saturday. I got more stitched, but unfortunately, it had to be ripped out. I'm back on track and will take another picture soon. Hope you all had a good weekend! Hi Nicole,I hope the new job is going well. 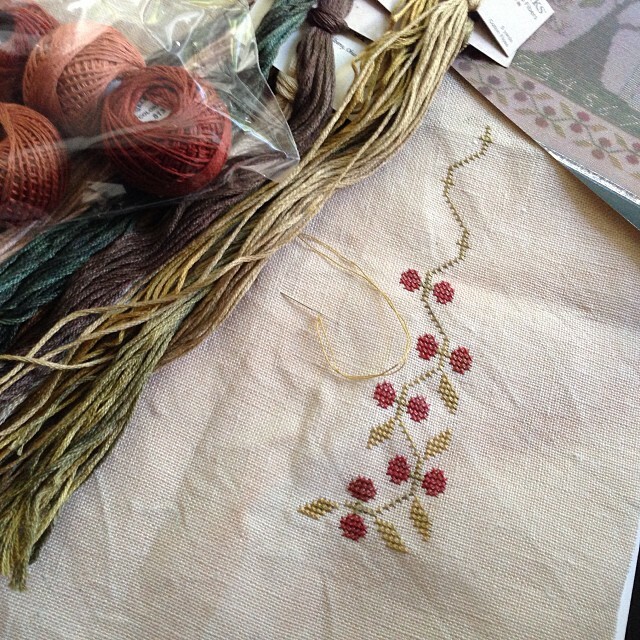 You have made a lovely start on this and your Crown Sampler is looking gorgeous too. I still have to get that one. Pretty stitching! Love the new start. Congrats on the new job! Congrats on your new job! And beautiful new start. That floss looks absolutely luxurious!